Wynnbrook Christian School is a private, co-educational school in North Columbus serving students in grades kindergarten through 8th grade. Wynnbrook Christian Preschool, located on the same campus, serves children six weeks old through four years old in a half-day program. The total enrollment for preschool through 8th grade is approximately 200. The student-teacher ratio typically averages 10:1. WCS and WCP are both ministries of Wynnbrook Baptist Church. At Wynnbrook Christian School, the Christian world view and biblical values are taught and practiced in every aspect of school life. We seek families who appreciate the benefit of a challenging, Christ-centered education. Our number one desire is to honor God in everything that we do with a standard of excellence as described in Colosians 3:17: "Whatever you do in word or deed, do all in the name of the Lord Jesus, giving thanks through Him to God the Father." 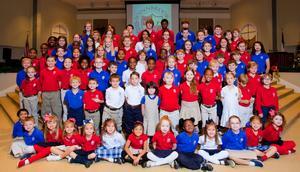 For over a decade, WCS has been striving for a unique combination of academic excellence and Christian education. Our commitment is to educate the total student, providing a nurturing, balanced, well-rounded educational experience and to help young men and women achieve their God-given potential, passion, and purpose in all facets of life. Wynnbrook Christian School offers an impressive selection of choices, not only in the academic curriculum, but also in athletics, fine arts, student activities, spiritual development, and community service. We provide a unique opportunity to find your child’s perfect balance. Wynnbrook Christian School is accredited through the Georgia Accrediting Commission (GAC) and is a member of the Association of Christian Schools International (ACSI). 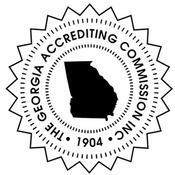 WCS teachers are state certified, and many hold advanced degrees. Please browse through our website. Provided here is information that will answer many of your questions and will give you a good overview of our school and our enrollment procedures. We would love to meet your family and see how Wynnbrook can meet your educational needs. If you would like to schedule a campus visit or for more information, please call the school office at (706) 323-0795.